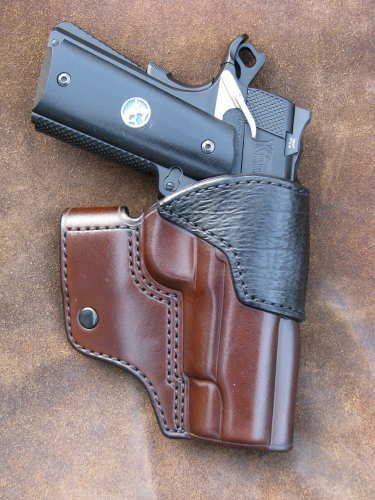 SSK-HTL - A strong side holster designed for concealment. 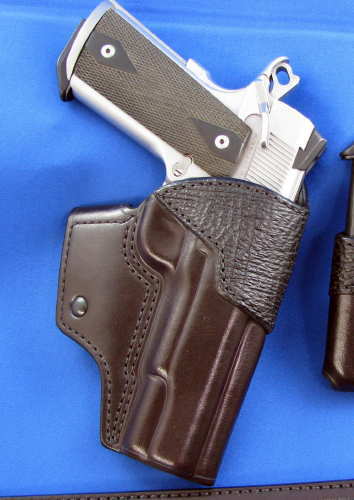 It features two close set loops on the rear of the holster so it balances and distributes the pistol weight well on the belt. Since the loops are set close together, it allows for comfortable carry even for narrow waisted people. Prices start at $220.00. 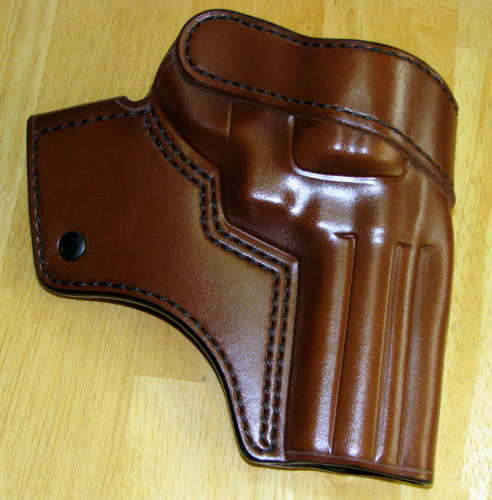 SSR-HTL - A strong side revolver holster It features a belt loop on the rear of the holster body and a fold over loop on the rear wing. Prices start at $220.00. RSS - A retro styed speed scabbard for 1911 5 inch only. $200.00.